The Tennessean reports on Metro Nashville Public Schools scaling back the offering of free lunch to all students. Nashville schools is set to scale back a popular program that provides free lunch to all of its students. The district currently provides free lunch to all students, regardless of income, but now plans to limit the program to 74 schools next year, while families at other schools must file paperwork to receive free-or-reduced lunch rates. The district first began using the program in 2014, but must reapply for grant funding every four years, Stark said. During that time, the number of students within the district recorded as needing federal assistance has dropped — from about 60 percent to just under 50 percent, Stark said. The lower percentage of students eligible means the federal government won’t cover as much of the cost to provide free lunch to all students, Stark said. The cost to MNPS to absorb the shortfall and continue offering the program across the board is $8 million. That’s less than one percent of the entire system budget. Nashville schools will still continue to provide free breakfast to students next year, Stark said. The money to fund that program comes from other sources, he said. “We are hoping that can alleviate at least some of the angst,” he said. Interesting that the concern from the standpoint of MNPS is parent angst, not student hunger. Also worth noting: This announcement came on the same day that legislation to prevent “lunch shaming” sponsored by John Ray Clemmons of Nashville failed in a House committee. 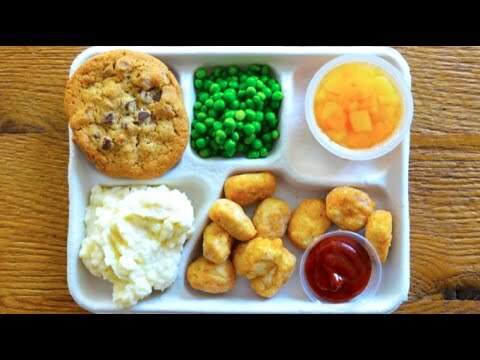 That bill would have prohibited separating students who had an outstanding meal debt at school. Clemmons cited a story about one Tennessee school where students with unpaid lunch debt were made to eat a peanut butter sandwich in the principal’s office. This entry was posted in MNPS, School Funding and tagged 2018 MNPS Budget, Lunch Shaming in Tennessee, MNPS, School Funding in Nashville, School Funding in Tennessee, School Lunches. Bookmark the permalink.